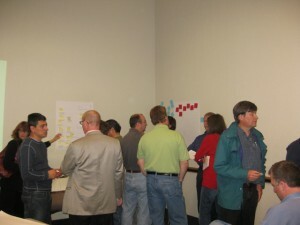 The Software Quality Association of Denver held a workshop May 7 to share ideas about why testers need to learn, what they need to learn, and how they can learn all of that. I facilitated an enthusiastic crowd of about 80 people. The room wasn’t set up in a suitable way, but participants found creative ways to work. And creative they were. I’d like to summarize some of the outcomes. 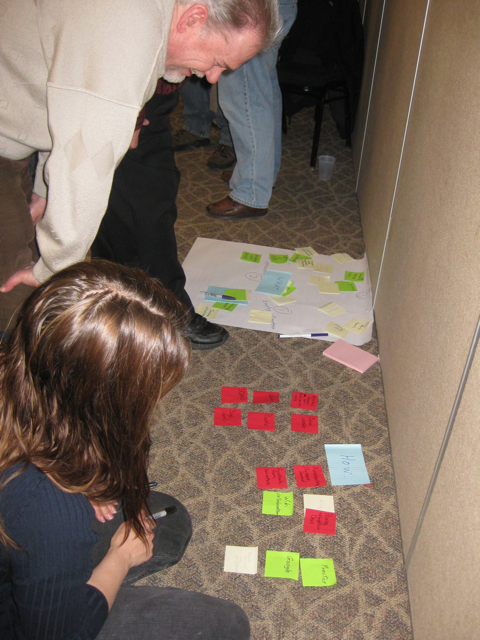 We started by dividing into small groups to brainstorm the reasons why testers need to learn. Beyond the obvious “stay employed” and “do your job better”, some fascinating reasons came out: “To stay interested and sharp”, “self-esteem”, “curiousity”, “freedom” – I’ve always thought that job security is in your mind. If you believe you have valuable skills, you’ll know you can get a job no matter what happens. Now, that’s freedom! Other reasons that I might not have thought of included: Help others learn, keep up with changing environments and be more flexible and adaptable, spawn new ideas. “Challenge yourself”, “Be a better contributor” – this is the attitude I want in my peers! There were several comments on the theme, “avoid reinventing the wheel” – find out what works and what doesn’t, build on previous learning and trials, make work easier and more efficient. Another theme was “prevent stagnation”: keep your brain young, become more well-rounded, balance working hard with getting help when needed, be ready for the next opportunity, job satisfaction, and one of my favorites: “It’s fun to learn”. Well, yeah! Our second group activity was to think of all the things we need to learn. I was gratified to see a lot of what some people call “soft skills”, what Diana Larson and Jim Shore call “essential skills”: negotiation skills, listening skills, stress management, leadership skills, management skills, team mentality, how to motivate people, conflict resolution, creative problem solving, how to work with developers, communicate without jargon, simplify concepts, how to think like a customer, politics, team dynamics. An especially intriguing item was “Who tells the truth?” It’s critical to know that, right? Flexibility and versatility were a theme here. 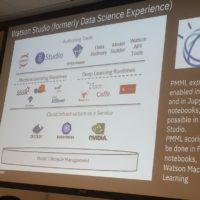 Design patterns, programming/scripting languages, platforms, levels of abstraction, being able to speak the developers’ language were important outcomes. “Keep your brain in good learning shape” is something essential that hadn’t occurred to me before. One group noted the importance of learning estimating and planning skills. 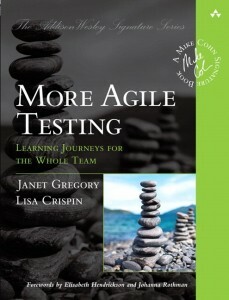 Long lists of test tools, processes, methodologies and other technical skills were also popular items on the “What to learn” lists. This all sounds wonderful, but how do we learn all those diverse skills? Where do we find time to gain that experience? 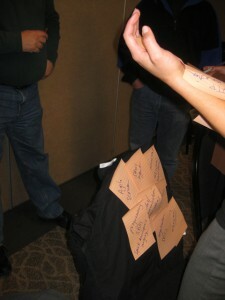 In our third group activity, the SQuAD groups came up with lots of innovative ways to learn. One theme was trial and error. Learn from mistakes – what worked, what didn’t. Retrospectives are one way to do this. Experiment, do pilot projects, and importantly, build slack into the system so you have time to do this. A learning culture where mistakes are tolerated is a prerequisite for innovation and creativity. Mentoring was another common theme, but a twist on this was not only to get a mentor, but to be a mentor. Mentor the tester next to you! Learn by teaching. Collaborating within and across teams is another learning method that several groups came up with, but again with different ideas. Creating a shared space and being able to sit with people that have different skills is a great way to learn. Using wikis for collaboration is another. Pairing with other testers and with developers was suggested. Getting feedback from coworkers is another simple but effective idea. Our peers are a great resource. 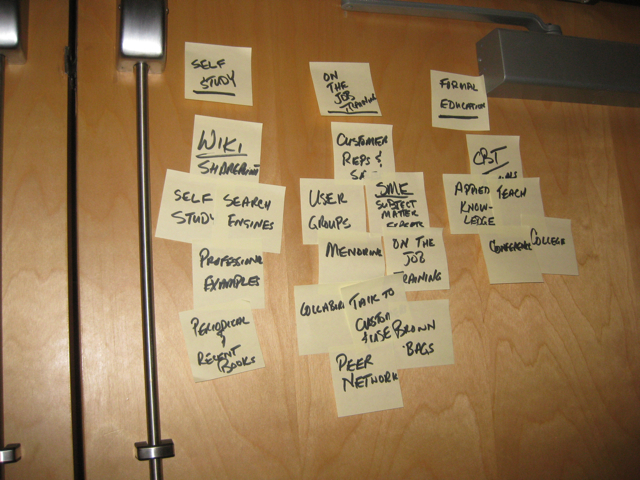 If the sticky notes won't stick, brainstorm on the floor! Some outcomes built on our existing skills that already help us be good testers. We’re good at asking questions, so ask! Ask followup questions. 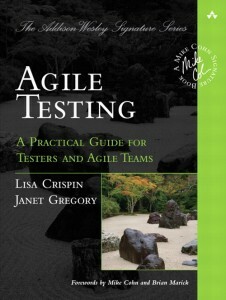 Learn about the product with exploratory testing. Do compoarison testing. Evaluate tools to learn more about them. There are obvious online sources of information, such as webinars, podcasts, blogs and white papers. I was surprised how many groups listed “Google” and online searching as a way to learn (though it shouldn’t be surprising – we all do that all the time!) Social networking also came up a lot as a good way to get information and benefit from others’ experiences. In addition to mailing lists, we have many online communities at our disposal, such as Software Testing Club and Weekend Testing. One group suggested applying principles from non-related areas. 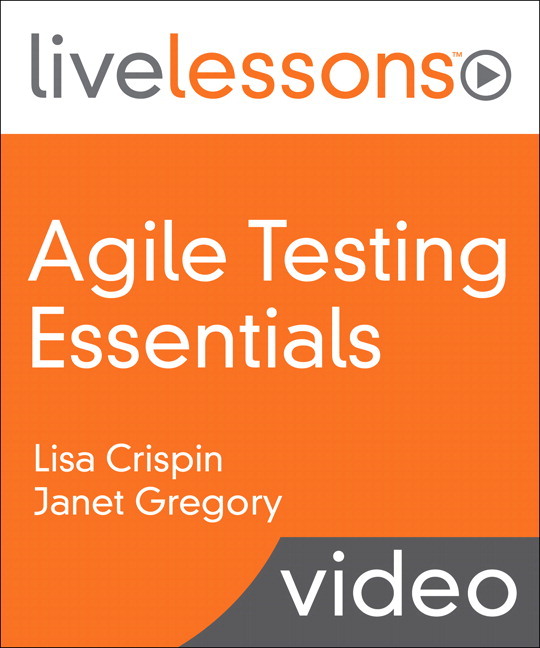 Our reading and learning shouldn’t be limited to testing or even software development. Inspire yourself by attending (in person or virtually) conferences such as TED: Ideas Worth Spreading. 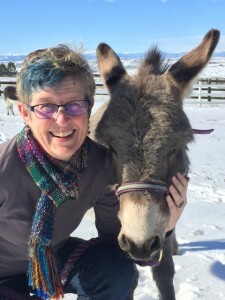 I was gratified to see several groups suggest that we learn by doing. “Practice!” The best way to learn is just go ahead and try something. 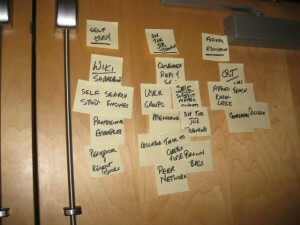 You can see the groups at work, and their ideas, on my Picasa site. Please take a look and think about what you will do today to learn something new. Thanks for mentioning STC – your mention is already working as we’ve just got a new member citing your blog as the way they found out about it. Did anyone find an answer to How to find the time to do all the things you mention ? Oh, I’m so glad people are checking out STC! Nobody did seem to find the answer to the time question!